We are now serving the dogs and hoomans of Berkeley! Sophie leads our team in Berkeley and surrounding areas. She has always loved dogs and grew up with a Tibetan Terrier and a Lab/ Border Collie mix. She has worked as a dog trainer, walker and sitter. Sophie managed the Cat Care department at a local animal rescue, and has also worked at a doggy day care facility. 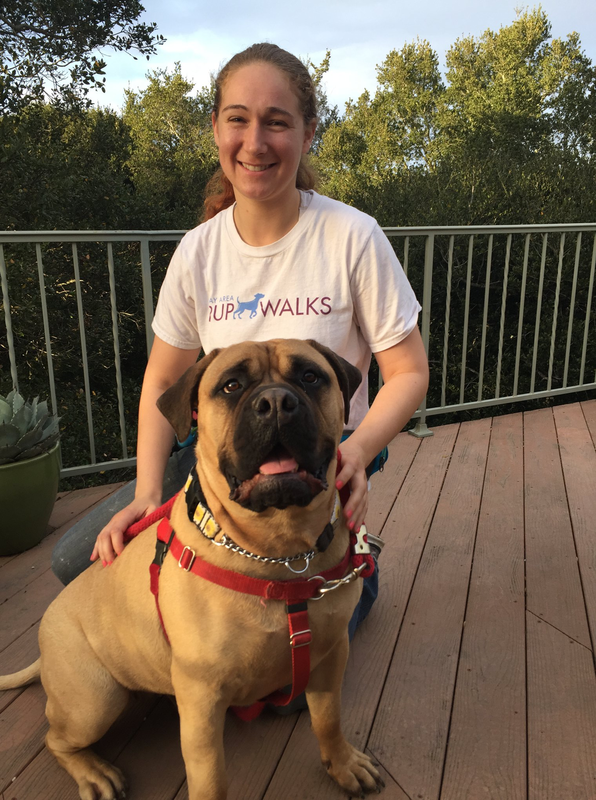 Managing the Berkeley team at PupWalks is her ideal career, as she is able to help dogs while doing what she is passionate about. In her spare time, Sophie writes newspaper articles, watches movies, and plays with her Tuxedo cat, Brooklyn.